In addition to Paul McGinley, Grange has a roll call of many wonderful golfers as members including David Sheahan, former Walker Cup player, Irish Close Champion and the first Irish amateur golfer to win a professional event; Mary Gorry, Irish Ladies' Close Champion and former Captain of the Irish Ladies' international team; Hazel Kavanagh, former tour professional; and Sheena McElroy, Irish Senior Champion. Nestled in the foothills of the Dublin Mountains, the course boasts spectacular panoramic views. The Grange course was recently voted the leading parkland course in Dublin City, with 24 fine holes allowing the creation of a number of different layouts (there's a challenging 18-hole championship layout as well as 6 Academy holes, complemented by good practice facilities including a putting green). The original James Braid course has evolved over the years, being continually improved and refined on an ongoing basis. 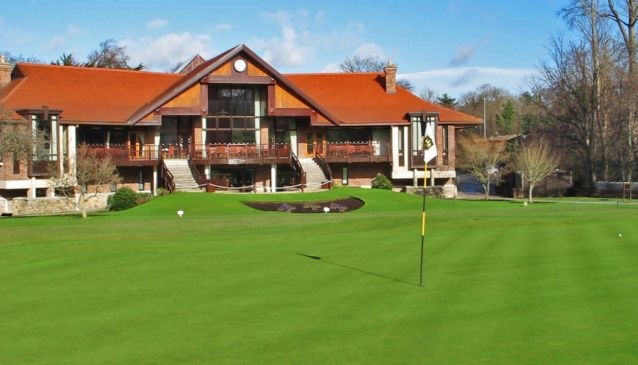 The attractive, modern clubhouse is renowned for its convivial atmosphere and warm hospitality. Grange has been greeting members and visitors alike for over one hundred years. This is a friendly, family oriented golf club. Guests are very welcome, and visitors to Grange can look forward to playing a mature, well-maintained course with a surprisingly peaceful sense of 'getting away from it all', whilst still being quite close to the city centre itself. So make the short journey from Dublin city centre, and enjoy the Grange Experience for yourself.